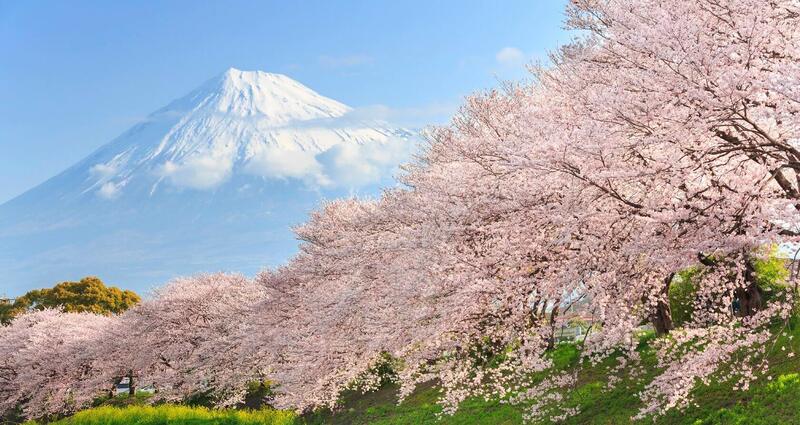 Discover beautiful cherry blossoms, get started to find a Japan tour! Our Essence of Spring - Cherry Blossom Japan Tours feature Japan's exciting and captivating destinations during the most popular season of the year! 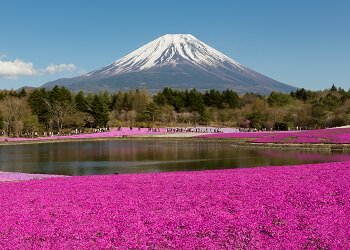 The Shibazakura Festival held from mid April to early June attracts tens of thousands of spectators who gather to see shibazakura, or pink moss in Yamanashi. The highest and most popular mountain in Japan, Mt. Fuji has been officially registered as an UNESCO’s World Heritage as of 2013. Hakone is known for exceptional views of Mt. Fuji. Kinkakuji (Golden Pavilion) is located at the foot of Kinugasa hill in Kyoto. It is a famous structure of Muromachi period (14 - 16 Century). A UNESCO's World Heritage site, Himeji Caslte represents Japan's castle architecture at its finest. Almost all of the castle remains intact since its construction in the early 1600's. 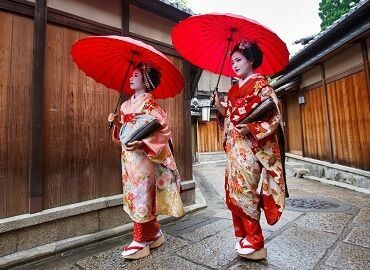 Gion is Kyoto's most famous geisha district, filled with shops, restaurants and ochaya, where geiko (Kyoto dialect for geisha) and maiko (geiko apprentices) entertain. With over a hundred varieties of Sakura in Japan, enjoy viewing these beautiful flowers during Japan's most popular season! Asakusa is the center of Tokyo's shitamachi, lit. "low city", one of Tokyo's few districts which have preserved a certain atmosphere of the old Tokyo. Kanpai! Spring in Japan is officially known as Sakura, or Japanese cherry blossom, season! While flowers and nature are enjoyed year round, most say that Japan is at it's best during the Spring season when all the usual parks and temples are enhanced with thousands of Japanese cherry blossom petals in the background. The cherry blossoms bloom bright but brief, prompting thousands far and wide to visit Japan during this wonderful season. Many gather to public parks or other ideal spots to view the flowers in a group, known as hanami , which is the way the Japanese enjoy the blooming sakura flowers, as if at a spring time festival. No other flower can gather a community and create an atmosphere so nostalgic like vivid pink and white flowers of the sakura trees. The distinct nature of the cherry blossom is used to celebrate the present in Japan. In Buddhism, the frailty and lifespan of the sakura is short, similar to the nature of life. Samurai admired it since their lives' could be cut short at any moment, much like the sakura. It is depicted in nearly every object in Japanese life, from their kimonos to their arts for its innate beauty. Now an iconic symbol of Japan, the cherry blossoms are a treat to be appreciated by all who visit Japan during the sakura season. Enjoy a Japan tour during this wonderful season and enjoy all of our most loved itineraries with the pink and white sakura petals decorating the backgrounds! View Japan's 2019 Cherry Blossom Forecast! Note: We cannot guarantee cherry blossoms will be in full bloom for viewing during this tour. Come and smell the fresh air of Cherry Blossoms! During spring time all the usual parks and temples even more beautiful with Japanese Cherry Blossom, or sakura, in the background. 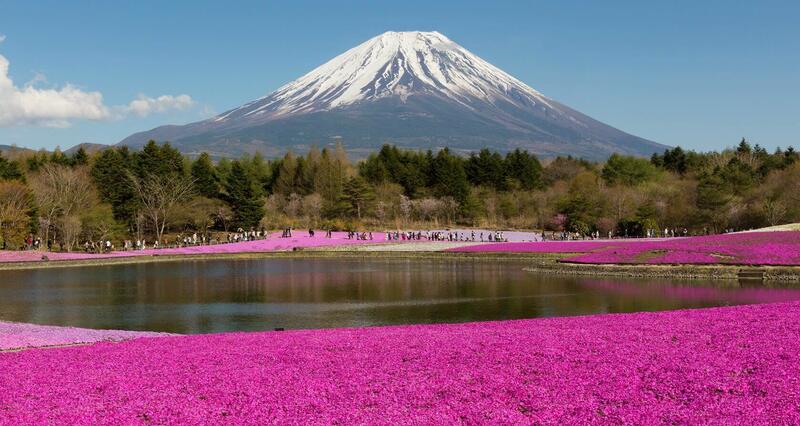 You will see vivid pink petals fluttering all the usual areas of Osaka, Kyoto, Nara, Hakone, and Tokyo. 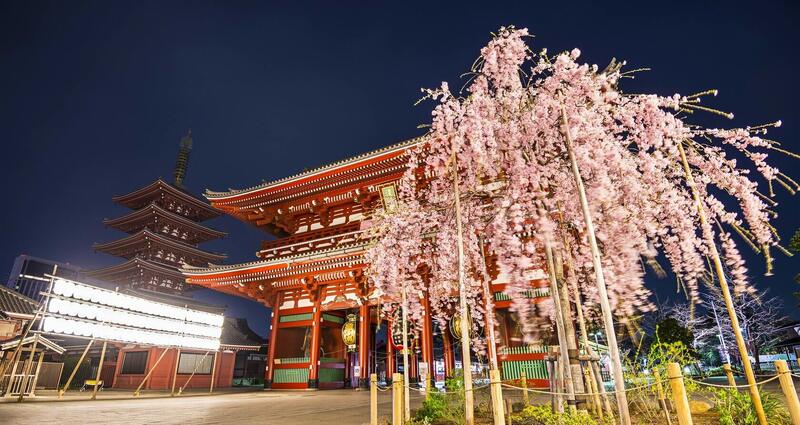 This exciting fully escorted Essence of Spring | Cherry Blossom Japan Tour takes you to on an unforgettable journey through Japan's most popular cities. Enjoy Todaiji Temple, Fushimi Inari shrine, the Golden Pavilion, and other ancient treasures during your stay in Nara and Kyoto. Tokyo is an exciting city filled with fashion and entertainment in districts like Akiharbara and Shibuya, as well as traditional treasures like Asakusa Sensoji Temple. We would also like for you to experience the culture visiting a Japanese sake brewery, engaging in green tea ceremony, visiting Japanese museums and gardens, and exploring traditional Japanese temples. A trip to Japan would also not be complete without a soak in the hot springs and a traditional Japanese multi-course meal at a Japanese inn. 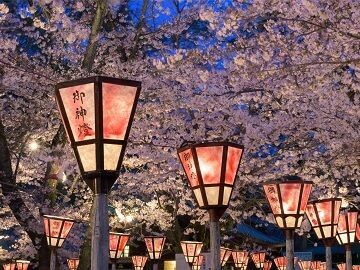 You can also extend your vacation before / after this Japan Cherry Blossom Tour in Tokyo, Osaka, and Kyoto. The featured destinations and experiences are for our Essence of Spring | Cherry Blossom 6 Day package. Many argue that Japan is beautiful no matter when you go, there are some who will say it's still the best to go during the spring, when the pink and white sakura petals begin to blossom! During the spring, all of the familiar parks and temples become a gathering spot for many who wish to see the beautiful flowers. To celebrate this wonderful time of year, why not join us for one of our Cherry Blossom Japan tour with Hiroshima packages as we explore the fan-favorite spots in Japan during the colorful Spring season! During our fully-escorted Essence of Spring | Cherry Blossom Japan tour with Hiroshima package, we will introduce you to all of the charms and wonders Japan has to offer through the historic cities of Kyoto, Nara, Tokyo, and of course, the City of Peace , Hiroshima! The only thing that makes our time-tested itinerary better will be the cascading pink and white petals of the cherry blossoms in the skies. Take photos that you'll cherish for years to come as you visit cultural gems like Todaiji Temple, the Fushimi Inari Shrine, Itsukushima Shrine, and much more during this legendary journey! 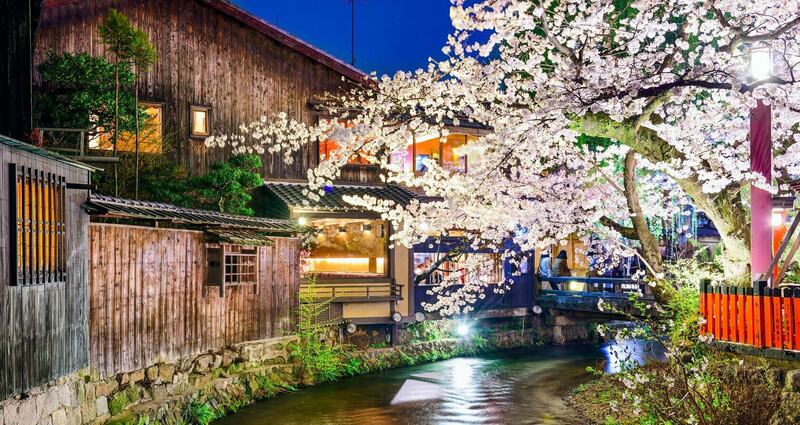 We also include a night at a Japanese style hotel so you can indulge in a hot-spring, a bullet train ride, tea ceremony, rickshaw ride, museum visits, Japanese gardens, and everything else to create the ultimate Spring vacation package! Enjoy authentic Japanese specialties and even get a photo of yourself with Mt. Fuji gracing the background! You can also extend your vacation before / after this Cherry Blossom Tour in Tokyo, Osaka, Kyoto, and Hiroshima. The featured destinations and experiences are for our Essence of Spring | Cherry Blossom with Hiroshima Festival 9 Day package. Love anime and want to see the most of Japan? For the adventurous traveler looking for an unforgettable anime experience, we recommend our Essence of Spring | Anime & Hiroshima package! 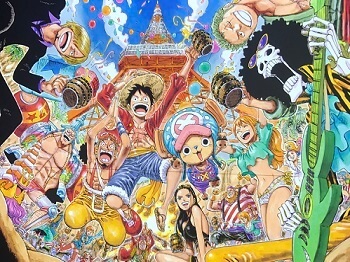 This fully escorted Japan tour takes you to Tokyo's best Anime and Manga spots before embarking on a cultural journey through Tokyo, Hakone, Mt. Fuji, Kyoto, Nara, and the City of Peace , Hiroshima! During this Cherry Blossom | Hiroshima & Anime tour, we will spend two days pioneering through the major anime and manga spots the city has to offer. Enjoy exploring all there is to see at the Ghibli Museum heal your Pokemon at the Pokemon Center, and shop to your heart's content in Akihabara! Before we reach Kyoto and Nara, we have a day planned out in Hakone, including a ride on the Hakone Ropeway for a stellar view of Mt. Fuji! Once we reach Kyoto and Nara, our time will be spent enjoying the history of Japan, visiting temples, shrines, rock gardens, and much more. Discover the beauty of Kyoto at treasures like Fushimi Inari Shrine and the Golden Pavilion. There's also plenty of picture perfect spots in Nara, including the Big Buddha at Todaiji Temple. After our time in Kyoto, we head to Hiroshima to learn more about World War Two and appreciate the scenery. At the Hiroshima Peace Memorial Park and A-Bomb Domb, we will visit the monument to World Peace. After our walk through the memorial park, it's off to Miyajima for the famous floating torii gates of Itsukushima Shrine! Our Highlights of Japan | Hiroshima & Anime tour is the perfect vacation for families or single travelers alike. Embrace Japanese culture through a bullet train ride and even stay in a Japanese style hotel, complete with traditional Japanese cooking. During your Japan tour, you will even participate in green tea ceremony, sample sake at a brewery, and enjoy a relaxing rope-way ride in Hakone. You can also extend your vacation before / after the tour in Tokyo, Osaka, and Kyoto. The featured destinations and experiences are for our Essence of Spring | Anime & Hiroshima 10 Day package. Some argue that there's a certain beauty in simplicity. We couldn't agree more, whether it's the magnificence of Mt. Fuji, or the delicate nature of the cherry blossom, we appreciate the little details. However, when it comes to a vacation during Japan's best season, going grand is the way to travel! 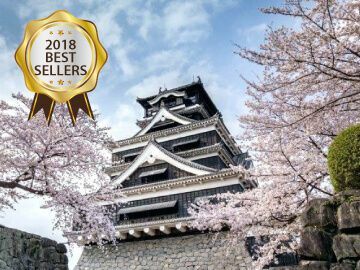 Embark on a cross-country expedition visiting major cities like Tokyo, Hiroshima, Miyajima, Beppu, Himeji, Osaka, Nara, Kyoto, and Kumamoto on our fully escorted Grand Cherry Blossom Japan Tour series! Many belive that the sakura season is the peak time to visit Japan, and we agree. Trek through the most beloved attractions on an epic journey as we appreciate Japanese culture. With With sakura petals cascading in the background, Japan is dazzling in beautiful shades of pink and white. Travel cross-country as you visit major cities and venture through the lesser traveled hot spots in the southern islands of Shikoku & Kyushu. This fully escorted Essence of Spring | Cherry Blossom Grand Tours is one of our most comprehensive Japan tours, visiting three of Japan's four major islands. During our time in Tokyo, our day is spent appreciating the vast multi-cultural factors that make up the futuristic city. From museums and gardens to give us insight to the Edo Period, to the cutting edge fashion centers like Harajuku and Shibuya, there's always something to see in the countries capital. No trip to Japan is complete without an onsen visit, so we made sure to provide a Japanese style hotel for a one-of-a-kind experience. There's also the tea ceremony, bullet train ride, and an assortment of Japanese specialty meals to immerse yourself in Japanese culture. Our time in Kyoto and Nara are focused on the rich history of the country, with stops along the way at Todaiji Temple, the Nara Deer Park, and the Golden Pavilion for photos, fun, and history! No grand tour of Japan is complete without time in the City of Peace Hiroshima, the first city struck by an atomic bomb. Learn about the effects the war had in Japan at the Peace Memorial Park, and lift your spirits visiting Miyajima, where the famous Itsukushima Shrine awaits. While you may not recognize the name, this is the iconic shrine that floats in the waters. A must-see, we made sure to include the best in our Grand Tour Series. Don't forget, this tour will also explore the southern treasures of Kyushu and Shikoku. Not all travelers visit these southern islands, and that's a real shame, especially when the cherry blossoms can be found along the way. The natural wonders of Shikoku are sure to awaken the nature lover in you. Enjoy the beauty of Ritsurin Garden or be taken aback by the power of the Naruto Whirlpools. There's also the famous Dogo Onsen, the inspiriation behind the popular Ghibli Film Spirited Away. 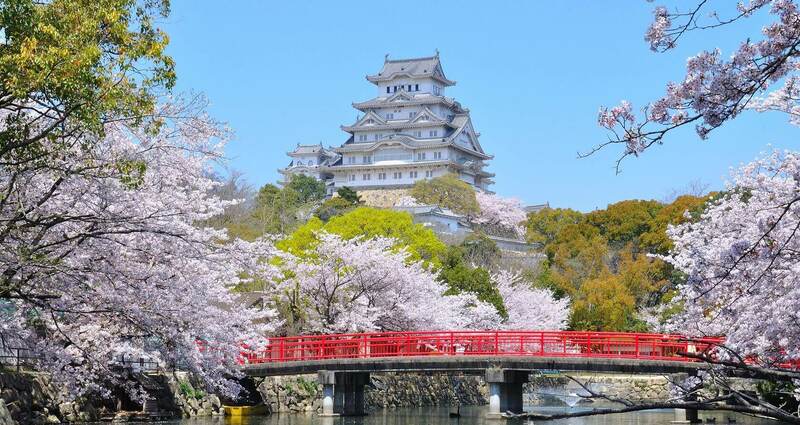 Kyushu's own Kumamoto Castle and Tour of Hell are also time-tested favorites on this tour! 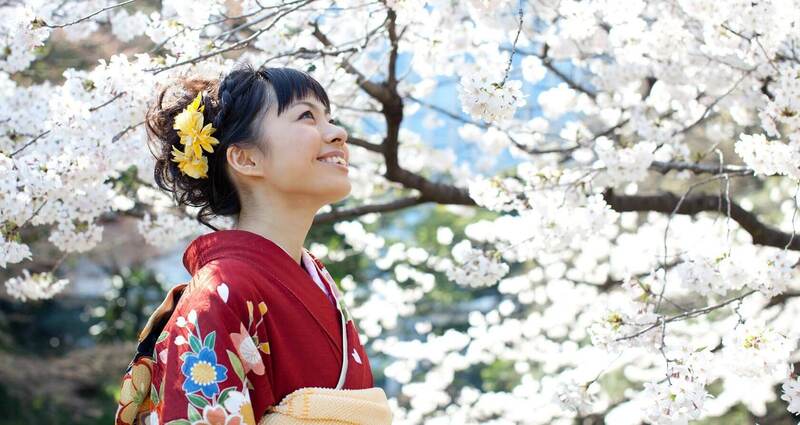 No matter where you go, our Grand Cherry Blossom Japan Tours bring out the best of the season. You can also extend your vacation before/after your tour in Tokyo, Kyoto, or Osaka! The featured destinations and experiences are for our Essence of Spring | Grand Cherry Blossom Tour 11 Days package. Appreciating the beauty that is Mt. Fuji is often enjoyed year round, however, during the Spring there's a special festival that makes Mt. Fuji's beauty even more memorable. The Fuji Shibazakura Festival in April is by far one of the best times to see the iconic mountain of Japan, while flowers of all colors grace the surrounding areas. The Shibazakura plants bloom in an awe-inspiring pink, white, and purple, which mixed with the pink and whites of the sakura flowers equal a breath-taking sight. We invite you to come along with us as we bask in the beauty of the season during our Fuji Shibazakura Festival Japan Tour package during Cherry Blossom Season. Join us as we explore some of the most beautiful flower gardens Japan has to offer on this fully-escorted, guided Shibazakura Festival Japan Tour in May! Our flower tour includes all the best gardens features on travel magazines, like the iconic Hitachi Seaside Park known for thousands of baby blue eyes and summer cypress and the Ashikaga Flower Park to walk through the stunning wisteria tunnel. We've put the right blend of shrines, temples, and meals to give you a full Japanese experience while enjoying the various flowers. Whether it's the peony garden in Tokyo or the French-style park in Hakone, this Shibazakura Festival Flower Japan Tour is the perfect package for a colorful Spring vacation. In addition to the charming scenery, our Shibazakura Japan Tour includes a relaxing stay in a hot-spring hotel, fresh strawberry picking, sample fresh green tea, and an authentic Shabu-Shabu lunch. Fresh air and cherry blossoms fills the skies while you tour through the best flower gardens in Tokyo, including time spent at one of the most colorful festivals in Japan! You can also extend your vacation before / after this tour in Tokyo. To learn more about the Fuji Shibazakura Festival, click here. Takayama is usaully a quiet rural town in the mountains of Gifu Prefecture. However, Every spring tens of thousands of people come to this quite town to celebrate the Takayama Spring Festival, also known as Sanno Festival. The spring festival is centered on the Hie Shrine, also known as the Sanno Shrine. This festival prays for a good harvest for the year and is said to have started sometime during the 16th to 17th century. During our Takayama Festival Japan tour package, we will take part watching this incredible festival during the day and night. Thoughout the day, the festival features lavishly decorated yatai, or floats, which are beautifully lit by lanterns and wheeled throughout the city. Karakuri, or puppet shows are also very popular aspects of the festival, attracting guests of all ages with its unique marionette performances from the floats. The Karakuri dance while music of the drums keep them in rhythm! 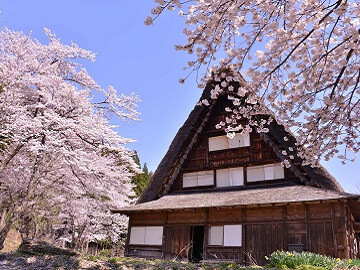 This Spring Takayama Festival | Hidden Village Tour packages in Spring takes you to major cities of Tokyo, Osaka, Kyoto, Hakone, Kanazawa, Nagano, and Takayama during the beautiful cherry blossom season. In Tokyo you will be visiting major spots like old town Asakusa, major shopping and fashion district Shibuya, Harajuku, and more. Kyoto has many historically significant locations and treasures such as the Golden Pavilion, Gion Geisha District, and the impressive gates of Fushimi Inari Shrine. In Kyoto you will also have the chance to participate in Japanese green tea ceremony. While this Takayama Festival Tour package makes stops at many other noteworthy locations such as the beautiful Kenrokuen Garden in Kanazawa, Matsumoto Castle in Nagano, and Shirakawago, a town in the remote mountains famous for their traditional farmhouses more than 250 years old, the main highlight of this Japan tour is the beautiful Takayama Festival. You can also extend your vacation before / after your tour in Tokyo, Osaka, and Kyoto. 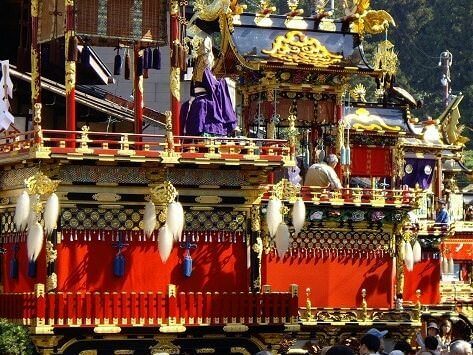 Immerse yourself at one of Japan's most beautiful and vibrant festivals in the mountain village of Takayama. This Spring Takayama Festival Hiroshima Tour includes all of our destinations and attractions use for our regular Takayama Festival tour, with additional days in the historically significant city of Hiroshima. The Takayama Festival is one of Japan's three most beautiful festivals, especially during the spring season when cherry blossom petals can be found wherever you go. After our fun exploring the cities of Tokyo, Kyoto, Nara, and joining in the fun of Takayama, we head to Hiroshima for some quality sight seeing! Hiroshima was deeply affected by the atrocities of war, being the first city in the world to suffer the attack of the atomic bomb. In Hiroshima we will visit the Peace Memorial Park and the A-Bomb Dome to learn about how the war affected the lives of the Japanese people and how the city has developed since, wishing for world peace. Today, the A-Bomb Dome is the remains of the Hiroshima Prefectural Promotion Hall building, the closest building to the hypocenter of the bomb. The skeletal remains of the building remain today due to the vaporization of the atomic bomb which kept the entire building from completely collapsing. The A-Bomb Dome now serves as a symbol for everlasting world peace. This Spring Takayama Festival | Hiroshima Tour will also stop to visit Miyajima. Miyajima is a small island northwest of Hiroshima, famous for its Itsukushima Shrine, or the floating torii gate. During high tide, the gate appears to be floating in the water, earning its unique nickname. You can also extend your vacation before/after the tour in Tokyo, Kyoto, Osaka, or Hiroshima. Journey to all of the major cities of the Takayama festival tour in Spring, including the City of Peace, Hiroshima. While Takayama is best known for the lively festival held Autumn and Spring, there's plenty to enjoy in the hidden, rural town in the mountains of Gifu. Often refered to as Little Kyoto , come explore the mountain village where the streets have been preserved since the days of the edo period. During our fully-guided Takayama & Villages | Hidden Trail Japan tour package, enjoy the highlighlights between Tokyo & Kyoto, with a stop in the mountain town of Takayama. Travel back in time as we explore Takayama and the nearby village of Shirakawa-go. Shop for fresh produce at the Takayama Morning Market and learn about the way of life before modernization at the Nagase house. While this Takayama Tour package makes stops at many other noteworthy locations such as the beautiful Kenrokuen Garden in Kanazawa, Matsumoto Castle in Nagano, and Shirakawago, a town in the remote mountains famous for their traditional farmhouses more than 250 years old, the main highlight of this Japan tour is the beautiful city of Takayama. You can also extend your vacation before / after your tour in Tokyo, Osaka, and Kyoto. Discover another side of Japan hidden in the mountains as we explore the preserved city of Takayama. Taking a page from our popular Takayama Festival Japan tour series, we are happy to announce our new Spring Takayama & Villages Tour with Hiroshima package! 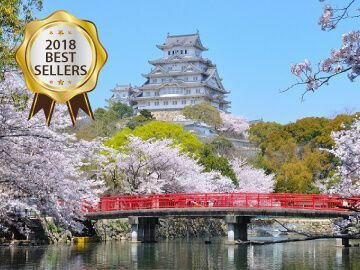 This fully escorted Takayama Tour features all of the best destinations and experiences on our Takayama tours, with some extra fun in Hiroshima, the stunning City of Peace. This Takayama & Villages Tour with Hiroshima package includes key attractions you won't want to miss when vacationing in Tokyo, Kyoto, Nara, Takayama, and Hiroshima. All of our destinations will be even more magnificent while the cherry blossoms are in bloom! This spring tour has everything you need for an unforgettable vacation experience. We've made sure to balance the itinerary through Tokyo and Kyoto to have the right among of temples, shrines, and museums, including authentic Japanese cultural experiences. Dine on local specialties, partake in a Japanese green tea ceremony, bath in relaxing hot-spring waters, and ride a bullet train, the fastest way to travel on land. Kyoto and Nara are filled with treasures we plan to visit, including the Golden Pavilion and the friendly deer at Nara Deer Park. There's also time to see Mt. Fuji before we travel back in time to the well preserved village of Takayama! There's also exploring to be had in Hiroshima, where we will visit the iconic landmarks. This includes the Peace Memorial Park and A-Bomb Dome where we will learn about the complex history of Hiroshima. There's also a visit to the iconic floating torii gates of Itsukushima Shrine, so you don't want to forget your camera! You can also extend your vacation before/after this tour in Tokyo, Kyoto, Osaka, or Hiroshima! 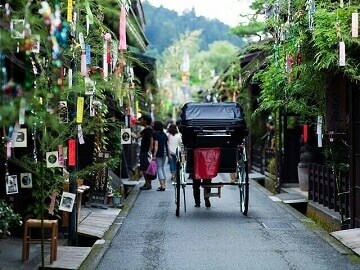 Journey through time in the hidden mountain village of Little Kyoto while exploring through Japan.